A pub-only monthly live music and experience property with easy access for the communities of Delhi, Mumbai and Bengaluru. Hosting an artist line-up across genres to give something more wholesome to our people. We’re gearing up to GET BENT. Are you? 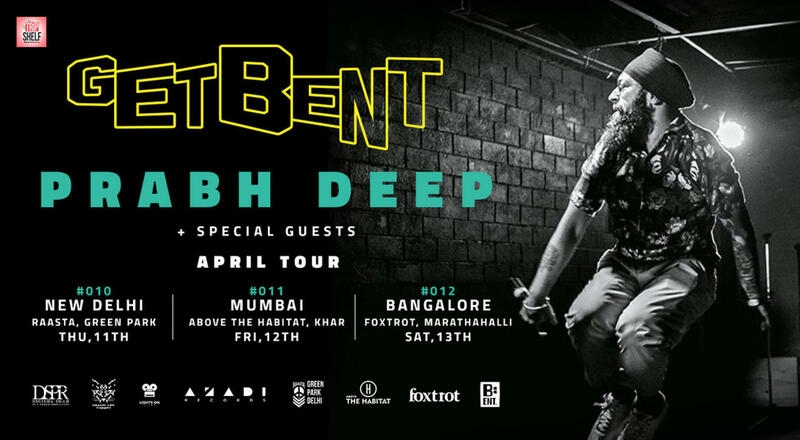 Both Yungsta and Frappe Ash are veterans in the Indian rap scene and have been feeding the crowd’s energy for a long time. The two are a treat to watch together. With over a 100 performances individually, ranging from clubs to cyphers to street jams, the duo together has been setting the stage ablaze since their formation. They both have joined forces to create a rap duo called FULL POWER under which they’ve already released a critically and publicly acclaimed debut album titled SHOWTIME. The rap duo embraced ethos to dissect their artistic approach Even though at the core their music is rap, their approach is to blend in various elements from other musical genres to create a constant wave of new sounds and content which is set to be prominent in their further releases.